Who will win the title of King Pong? Clear your calendar - It's going down! 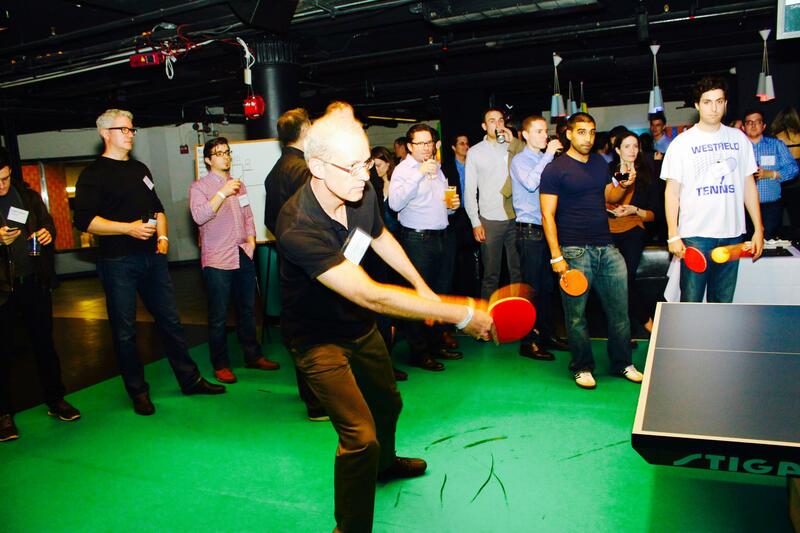 Time to break out your paddle and join the Flybridge Capital Partners team for our 6th annual NYC entrepreneur ping pong tournament. Along with our sponsors Goodwin Procter and Silicon Valley Bank, we're hosting a smashing night of ping pong, food, drinks, and networking all mixed in with some friendly competition. We'll have teams of 2 playing in a traditional ping pong tournament for the title of New York's King Pong. We'll match you up with a partner when you arrive although if there is someone you would like to play with who is invited to the event, please let us know. We'll also have a singles tournament for elite players. Don't worry, if your pong skills are out of date, there will be pros on hand to teach you the ropes if needed and fan seats available for those who prefer not to play. For the charity component, the teams that make it to the finals will get to choose a charity and we will make the donation to that organization. * note, if you plan to play in the tournament, please arrive promptly at 7:00 p.m. for partner and table assignments. Banking the world's most innovative companies and exclusive wineries, SVB's diverse financial services, knowledge, global network, and world class service increase our clients' probability of success. With $36 billion in assets and more than 1,800 employees, we provide commercial, international and private banking through our locations worldwide. Forbes Magazine ranks us among America's Best Banks and Fortune considered SVB one of the best places to work.